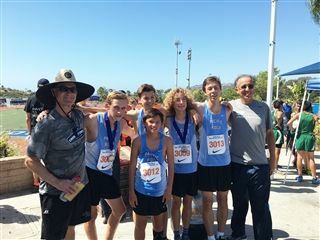 Competing against larger schools on September 23 at the Dana Hills Invitational, Pacific Ridge runners held their own in races with up to 200 competitors. Zach Brown finished first and Rowen Hinrichs and Soren Engstrom medaled in 27th and 42nd place in the boy’s frosh race. In the Invitational girls race Kimberly Cheung broke a school record (see below)! Go Firebirds! 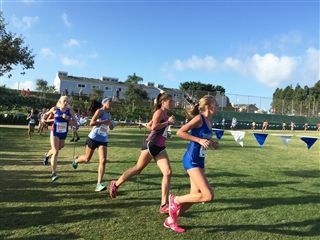 Kimberly C. broke the school record for the Dana Hills course. She was 23rd in the invite race and 27th fastest overall out of the 1,000 girls competing in 10 different races. At the 3 mile distance she is 5th fastest in the state in Division 5.